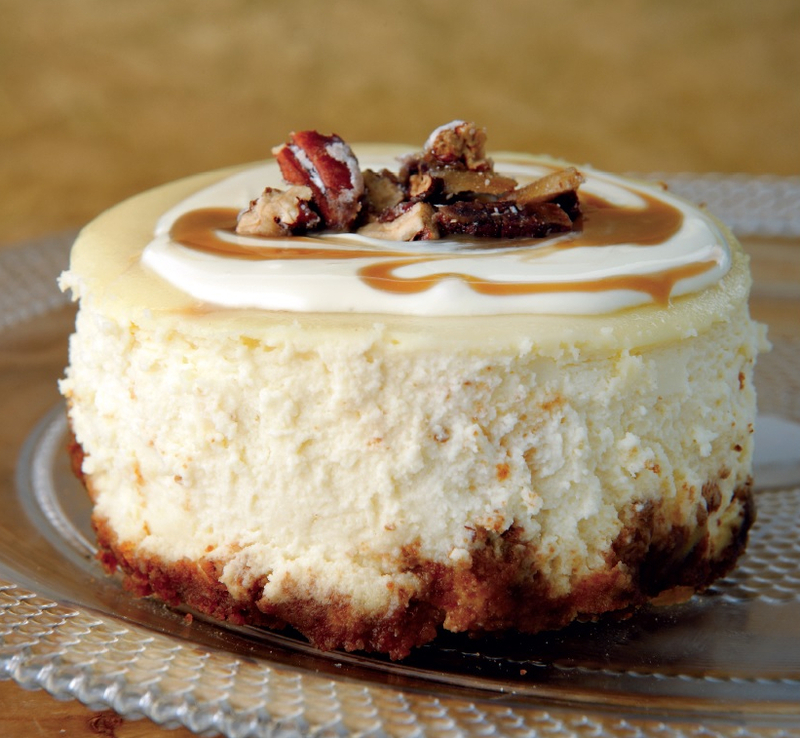 The caramel sauce marbled into this ultra creamy cheesecake leaves a delectable taste on your tongue. Forget about the diet when eating this. Mix crushed biscuits with the unsalted butter and press onto the bottom and a little up the sides of a 24cm (9 inch) spring form tin. Bake crust until just browned. Set aside to cool. Place all ingredients in a food processor and pulse until just mixed through, smooth and creamy. Pour into pre-baked crust shell. Lower oven temperature to 140°C. Bake for about 45-50 minutes or until just set. Turn oven off and cool in oven for about 30-40 minutes before removing from oven. Refrigerate when cool, but remove from fridge about 2-3 hours before serving. Bring sugar and cream to a boil and simmer until sugar has dissolved. Remove from the heat and stir in the condensed milk. Cool. Drizzle over the top of the cheesecake just before serving. Top with sugared pecans. Dip nuts into water. When they are wet, roll them in icing sugar. Place on a baking tray and bake in a preheated 140°C oven for about 15 minutes or until toasted. Keep in a Tupperware until ready to use. CHEF’S TIP: Refrigerate cheesecake and then remove before serving to bring to room temperature for a few hours.